What’s in a name? Well for Zim n the Mailman, your guess is as good as ours. We do know that “Zim” is as unique and silly as his Jockey Club Registration suggests. 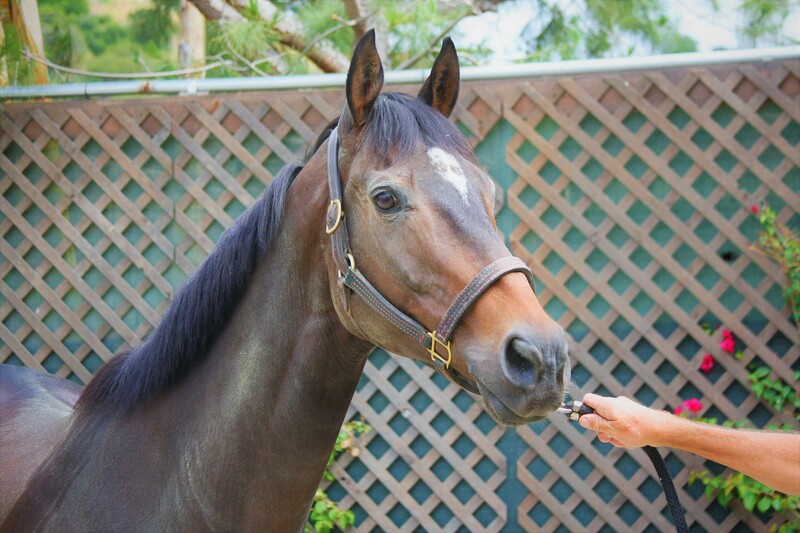 This handsome seven-year-old (2010) is by all-time leading California sire Unusual Heat out of a Menifee mare named Larue. 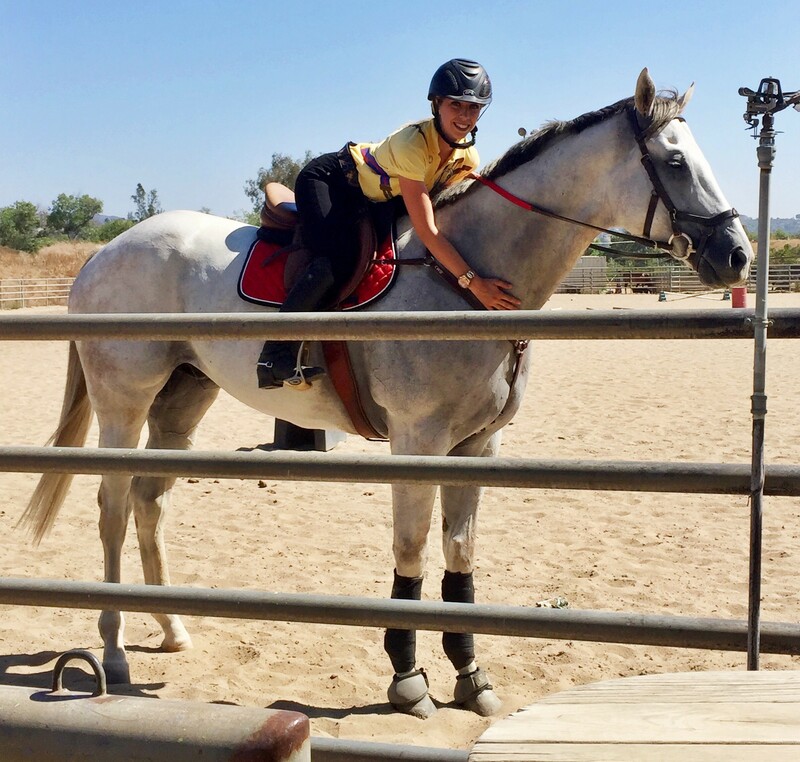 Zim aims to please and wants to find his new purpose in life – which is exactly what he has found with Aftercare Partner Hope for Horses. He has become a personal project for one of the volunteers who has formed a special bond with him. As the popular equestrian saying goes, “All horses deserve, at least once in their life, to be loved by a little girl”. Mighty Mousse is living the dream with his adopter Jewelea, who is small in stature compared to her 17.1hh dapple grey giant sired by The Pamplemousse. This adorable duo is planning on competing in show jumping and are already off to a great start together. We hope to see Jewelea and “Mousse” at the Thoroughbred Classic Horse Show in the very near future. Fun Fact: Mighty Mousse was the top selling colt at the Barretts Sales & Racing October yearling sale in 2013 – and with his flashy appearance and impressive physique, it is easy to see why! 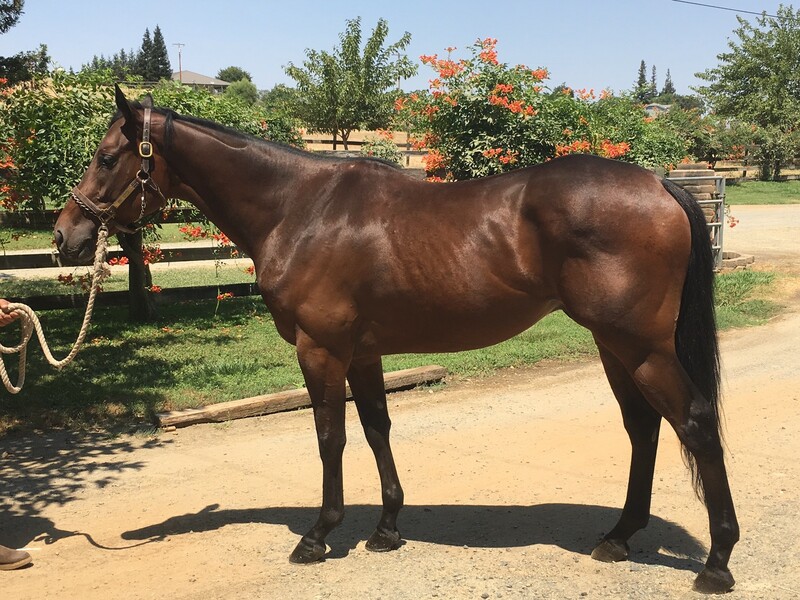 Chuchotti is a pretty four-year-old (2013) bay mare by Summer Bird out of an A.P. Indy mare named Listen A.P. She is an absolute lady and classy as can be. Her former race trainer’s 11-year-old son adored Chuchotti, and even though she was not super successful on the track – you wouldn’t know it by how he talked about her. Chuchotti’s soft doe-like eyes captured the heart of Aftercare Partner Redwings Horse Sanctuary. She is enjoying a little more R&R before beginning training to become a riding horse. We have no doubt Chuchotti will be someone’s new best friend in no time. When it came time for ThisBoysForMaya to retire from racing, his owner/breeder sought out our Aftercare Partner Humanity for Horses. Unable to comfortably make the long venture to the Mount Shasta area, we provided “Boy” a cozy place to rest while he built up his strength. Boy has made it to Humanity for Horses and is looking forward to enjoying all the perks of retirement- long days in the pasture playing with his equine friends. This nine-year-old stakes winner accumulated quite the following over the course of his career and that support has transferred over into retirement. Te Rapa, named after a suburb in New Zealand, has the heart and soul of a true racehorse. His competitive and game nature raked in $318,755 in 41 starts! He forged a lasting relationship with his former trainer and groom who routinely ask us “How’s my horse doing?” with smiles on their faces. 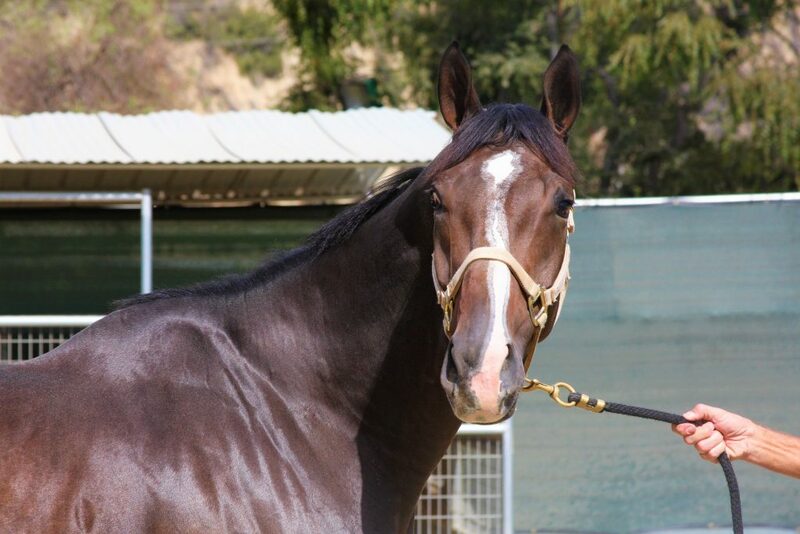 Te Rapa is now spending his days with Aftercare Partner Sandia Creek Ranch – where treats are never in short supply. Chuchotti is the sweetest, most even-tempered Thoroughbred I’ve ever had the pleasure of knowing. She will make someone a very special, loving trail companion. 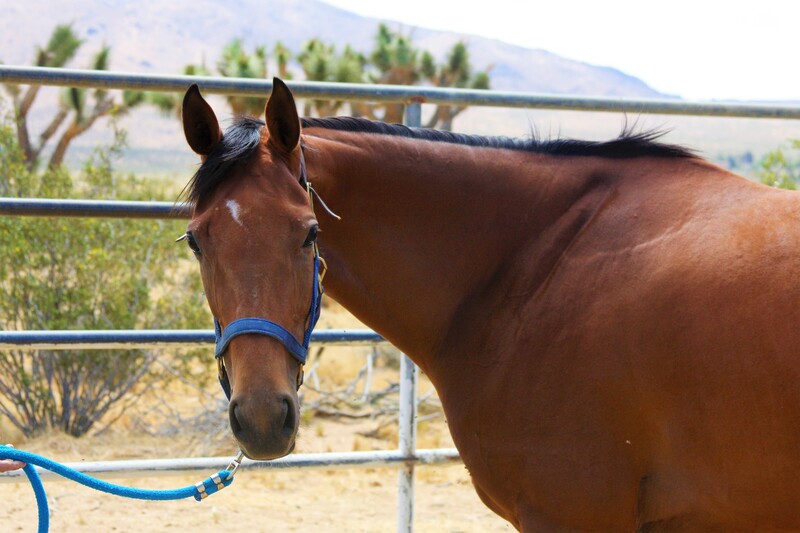 Thank you, CARMA and Redwings Horse Sanctuary for getting her ready to be introduced to her wonderful new forever home!